Hailing from New York City, Emmy Award winner commercial actress in 2016, Farrah has been dancing since the age of 3, becoming a professional by age 17 and has worked as a dance team coach/educator/and judge since then. Art, Dance, TV/Film and Print has been a staple of her career allowing her to become a SAG/Aftra member, Dance Educators of America graduate and member, is a professional model with 3 top agencies in NYC. She graduated in 2008 from LIM College with a degree in Fashion Merchandising and Marketing, her eye for fashion has landed her as a plus size model for over 5 years. Ms. Farrah has added Zumba Certification in NYC and her affiliation with ZIN Network, makes her an instructor in good standing with the Zumba organization. Her devotion to dance has landed her in many projects with top companies, including works with John Byrne and internationally renowned photographer David LaChapelle. TV host for several web series including The NY Spot and The Chat TV show has opened doors to many other projects for TV/Film like Orange is the New Black, Louie, Royal Pains and Broad City. Her TV commercial credits include Pony Wrap and The Body Dress as well as NFL en Español, Google and Qysemia. As a plus size model with True Models Management and Bi-Coastal Models has her working with clients like Macys, RedCats, Cabiria, OSP, Ralph Lauren and Jenny Wu to name a few. Runway and Print modeling is also a forte taking the modeling plus size world by storm. Ms Cortez's dance expertise includes Musical Theater (Fosse), Ballet/Pointe, Jazz (Giordano), Modern, American Tap, Flamenco, Lyrical, Voice and Dance, Commercial Jazz, and stage production. Her experiences helps her understand this industry very well thus allowing her to guide her students to success. Farrah is now very excited to add mother to her list of experiences. 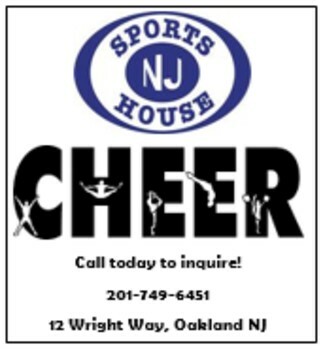 Check out NJ Sports House new Cheer Program! Join some of the best instructors around on our competitive cheer teams! 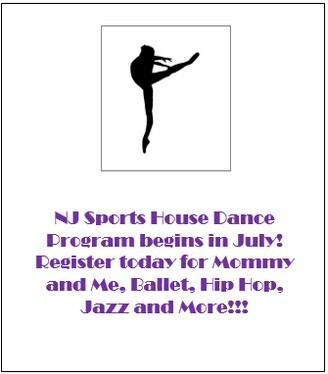 Register for our 8 week summer program and stay tuned for more information regarding our 9 month fall program which will include competitions!